Health-conscious people want to keep their teeth as clean as possible, and have regular check ups at Summer Dental in Las Vegas. But people also look for convenience. 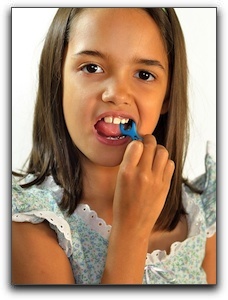 That’s why many of them turn to floss picks instead of standard dental floss. These little tools are quite handy. They usually have a handle that is pointed and can double as a toothpick, and a length of floss strung in a U-shaped groove. They are reasonably priced and can be used more discretely than floss. While this may seem like a dream come true for those hoping to make flossing a more regular part of their oral health routine, floss picks are still a step below actual floss when it comes to effectiveness. So, what is a responsible dental patient to do? The first thing is to talk to us at Summer Dental. If you love floss picks, continue to use them when convenient. But try to use regular dental floss daily. If you are looking for a new dentist, we hope that you consider Summer Dental in Las Vegas. We offer general and cosmetic dentistry. Schedule your next cleaning and check up with us today!